We manufacture both bulk and small orders for custom work. 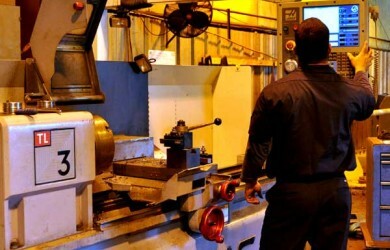 R & N Hydraulics, located in Bryant, AR, designs and manufactures custom hydraulic systems for our clients. Our business is well-known to many in the area for our expertise and timely delivery. We have the most knowledgeable staff in the area that will provide you with the highest level of customer service. We also carry hydraulic seal kits and perform hydraulic repairs for our clients. We invite you to get started by calling 501-847-2816 or by using our request form here. 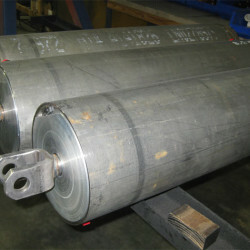 There are many factors that have enabled us to become a leading provider of hydraulic cylinder repair and production. We’ve always given our clients good quality for their money, prompt delivery, competitive pricing, and exceptional customer service. But one thing we know that has put us ahead of the pack is our ability to manufacture and repair custom hydraulic cylinders. Hydraulic design is a specialty of ours. Every business owner has a singular and unique set of needs and R & N has been meeting those needs since 1979. Whether you need a hydraulic design for virtually any type of system, such as a custom lift table, hydraulic services, or a dependable parts supplier, it’s wise to choose a hydraulics company that stays current with the latest industry advancements. There are several reasons for taking this factor into consideration, particularly if you’re responsible for a large fleet of heavy equipment relied upon to work hard – and at peak performance – every day. You can’t afford to deal with a hydraulics solutions partner that can’t perform hydraulic repairs and services on all your equipment, from the oldies but goodies to the most advanced machinery. 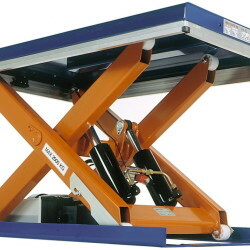 When combined, hydraulics and pneumatics are known as fluid power. This form of power is one member of an always evolving technology partnership that provides unparalleled control of force, torque, position, and motion in modern applications throughout the world. 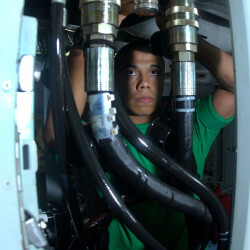 Attention fleet managers: You can’t afford to wait on vital hydraulic services for your machines. They drive your business, literally, whether it be construction, logging, material handling, or any of the vast applications for hydraulic-powered equipment. If you’re experiencing slow turnaround, let a reputable Arkansas hydraulics company provide the solution. Let’s narrow down hydraulic systems for the construction industry only. Within this one field, fleet managers often require several hydraulic machines for one project. 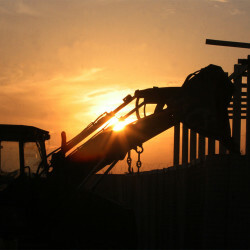 We’ll focus on two, backhoe hydraulics and bulldozer hydraulics. It’s astounding how many uses exist for fluid power technology. Hydraulics impact virtually every aspect of our lives. Those who aren’t familiar with industrial hydraulic equipment, for example, may not realize hydraulic systems are used to power many of these machines. Those more knowledgeable of hydraulics, like fleet managers responsible for maintaining large inventories of industrial hydraulic equipment, see the impact more obviously. Often it’s a vital element of a company’s lifeblood. R & N Hydraulics Inc. knows there are lots of choices out there, but we want to show you how choosing a home-grown expert in the industry will pay off dividends in the long run. Since our founding in 1979, R & N has grown to become a company you can trust, with a staff of experts who can meet all your needs for custom hydraulic cylinders and seals. Whether you want to order your custom parts and do it yourself, or let our crew do the work in our on-site repair shop, we’re here to get you up and running.